A prolific piano virtuoso who has performed in the U. S. and Internationally, Daniel Asbury Mixon was born on August 19, 1949 in Harlem and raised in Brooklyn, New York. Growing up in a musical household he was influenced by his mother and grandparents beginning his early artistic expression at the age of 3. He studied and performed as a tap dancer at the Ruth Williams Dance Studio and even then was known as "The Show Stopper." Danny attended the High School of Performing Arts with dance as his major. During an afternoon outing at the Apollo Theatre with his grandfather Danny was inspired by the jazz musicians he heard. It was then that he decided that he would like to be a pianist and he never once looked back. At the age of thirteen Danny began piano lessons. His most memorable piano instructor was Sir Roland Hanna. By the time Danny was 17, he was invited to play with Sam Brown and Patti Labelle and the Blue Bells in Atlantic City and two years later he found himself with the Muse Quartet under the auspices of Chris White. 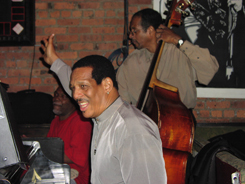 Among his earlier credits Danny played regularly with Joe Lee Wilson from 1967 to 1970, Betty Carter from 1971 to 1973. He also recorded and played extensively with Charles Mingus and Dannie Richmond in the late 70's. He began playing the organ at Brooklyn's Baby Grand with Carlos Garnet, and accompanied Big Maybelle at the Blue Coronet. In the mid 90's he appeared regularly at Showman's as an organist. Danny has worked with such legendary performers as Lionel Hampton, Joe Williams, and Frank Foster and continues to be in Frank Foster's Loud Minority Big Band and his Non-Electric Company. He was honored to have participated in the first Newport Jazz Festival at Sea on the Queen Elizabeth 2. He was also a recipient along with Max Roach for the Greater Jamaica Development Corporation Jazz Appreciation award and in December, 2002 was awarded the Harlem Unsung Heroes of Afrikan Amerikan Classical Music award. In April of 2002 Danny was privileged to take part in the 2002 Olympics in Salt Lake city, Utah while performing with Savion Glover, and also performed at the International "Fall in Jazz Festival" in Milan, Italy. 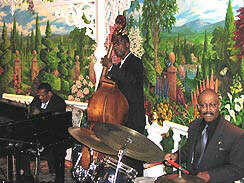 From November 1-8, 2003 he performed for the second time aboard the Holland American Ms Zaandam Jazz Cruise. In May of 2004 Danny was one of the first musicians to be honored by the National Jazz Museum in Harlem in a series entitled "Harlem Speaks," which resulted in an invitation to the White House for Black Music Month on June 22nd. 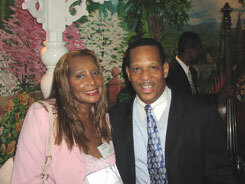 More recent, Danny had been interviewed by New York Oneat Showman's and Lenore Raphael on her show on Pure Jazz Radio. He was honored by Brooklyn Borough President Marty Mark Markowitz along with other artists from Ft Green in June and September 22, 2011 was decreed "Danny Mixon Day" in Brooklyn. He performed with the Lisle Atkinson and the Neo Bass Choir June 10th and later kicked off Jazzmobile's Summer Series with the Danny Mixon Quartet at Grant's Tomb July 27, 2011. Danny's greatest joy is performing, composing, and arranging for his own group "The Danny Mixon Trio or Quartet," and has recently completed his new CD entitled "Peace & Music." He has also performed, toured and/or recorded with Yusef Lateef, Hank Crawford, Savion Glover, Pharoah Sanders, Dee Dee Bridgewater, Stanley Turrentine, Gene Ammons, Eubie Blake, Noel Pointer, Jimmy Witherspoon, Grant Green, Eddie Jefferson, Charles McPherson, Marlena Shaw, Irene Reid, Houston Person, Dakota Staton, Ben Vereen, Leon Tomas, Chaka Khan, Cassandra Wilson, Lou Rawls, Gloria Lynne, Lisle Atkinson, Oscar Brown, Jr., John Hendricks, Pucho and the Latin Soul Brothers, Earl May, Art Blakey and the Jazz Messengers, Kenny Dorham and many others. Danny is currently the Musical Director of the Legendary Lenox Lounge and is an instructor and performance artist with the Jazzmobile as well as instructing at the New School for Jazz and Contemporary Music, along with private instructions. Pianist Danny Mixon plays a special tribute to his mother who would have celebrated her birthday on March 1, the opening night of the Naniki Caribbean Jazz Safari in Antigua.